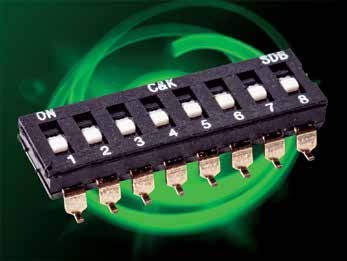 C&K’s new DIP switch is said to provide product designers with a cost-effective option for applications that require a low-profile switch for space savings on PCB layouts. Photo courtesy of C&K. NEWTON, Mass.—New SDB DIP switches from C&K, a designer and manufacturer of electromechanical switches, are reported to provide a low-cost option for logic and control applications in industrial, consumer, and telecommunications markets. The switches can also be used in the banking, retail, and server markets, C&K said in a press release. The new DIP switch is said to provide product designers with a cost-effective option for applications that require a low-profile switch for space savings on PCB layouts. The SDB DIP switch has a high operating life cycle under load and comes in thru-hole or surface mount models, with additional tape and reel packaging available. The SDB DIP switch joins C&K’s family of DIP switches that includes surface mount half-pitch DIP switches, low-profile and standard-profile DIP switches, rotary and coded DIP switches, SIP switches, and jumper switches with a variety of extended actuator and flush actuator styles. 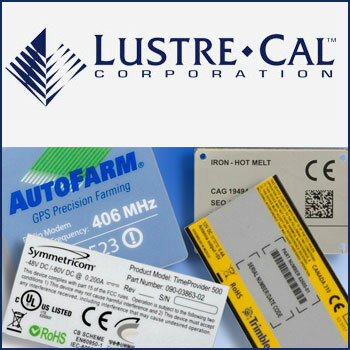 The company’s new SDB DIP switch is said to be well-suited for applications that include automation and control devices, servers, modems, routers, headsets, ATMs, and POS machines.